Built by Medici family, this historic 15th century palazzo opened to guests in 1928. This active convent is a well-preserved B&B and one of Florence’s best kept secrets. Located in the historic center of Florence, Casa per ferie Suore Oblate dell'Assunzione offers accommodation a few minutes’ walk from Piazza del Duomo Square and Santa Maria del Fiore Cathedral. Suore Oblate dell'Assunzione (Sanctuary Firenze, convent) is a gem. 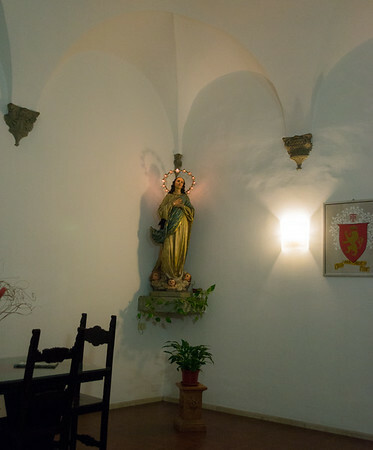 Centrally located in Florence, this active convent is memorable. The antique furnishings completes the picture. All services are attended to by the sisters. It is peaceful and a special space, a wonderful memory.